Inside a cupboard at NightShift Street Ministries is a colourful and abundant assortment of felt pens, crayons, paints, paper, stickers, wool, fabrics and other art supplies. 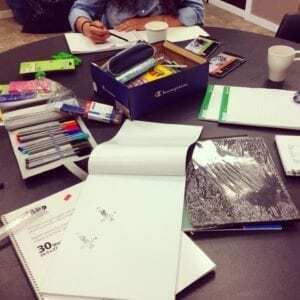 Every Tuesday at 5:30 pm, the cupboard is opened, to the delight of a room full of people, most of whom are eager to create an artistic treasure, while others are happy to just be in the presence of others creating art. 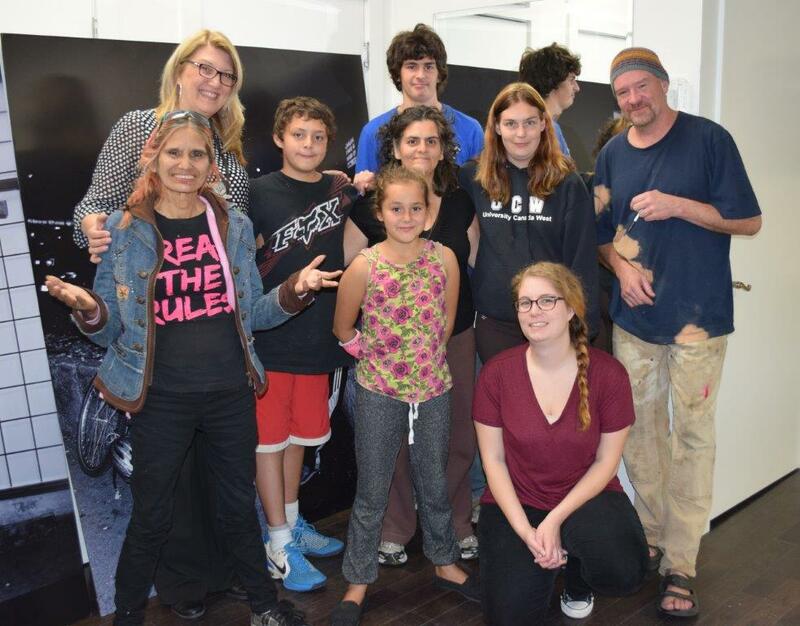 This is NightShift’s Art Class, and all who come here feel comfortable, safe and welcomed. It is a fun and often healing respite for the group – any of whom might be struggling with poverty, homelessness, addiction, mental or physical illness. 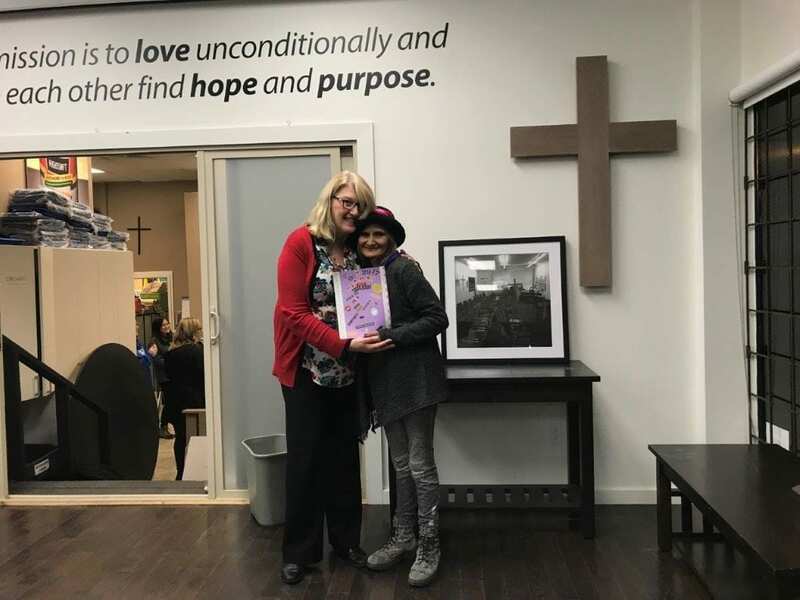 Art Class was created about five years ago by Maggie Callander, a dedicated NightShift volunteer who is also a professional counsellor at Delview School in North Delta. 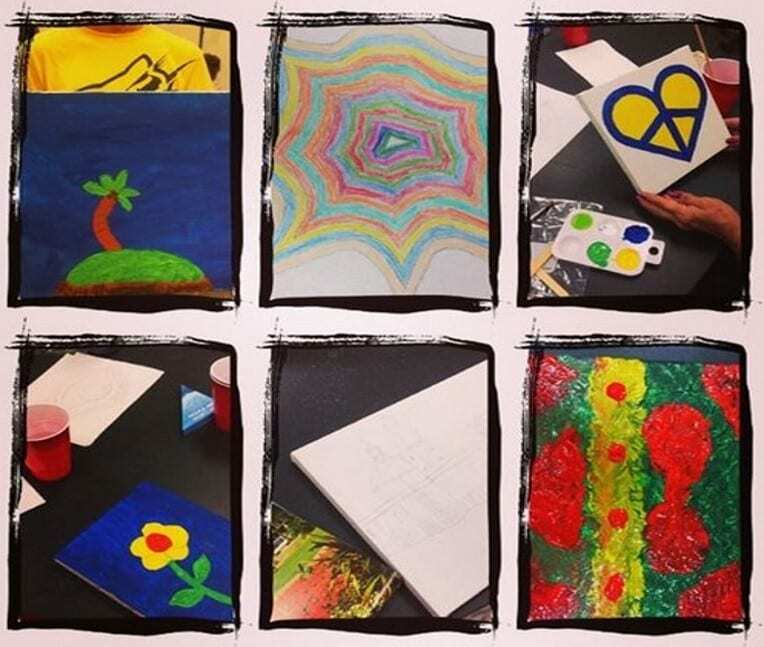 Her love of art, counselling and helping vulnerable people culminated in Art Class, which also became the topic of her Masters’ thesis, about creating sacred spaces. “I couldn’t understand, why are people coming back? Why do people walk through all kinds of weather, when sometimes they can barely walk, and yet they make it to Art Class?” Maggie says. Art Class participants have even done their part to beautify the surrounding neighbourhood of Whalley. Just a few years ago, a class team went down the street and painted a Christmas scene on the window of the old KFC restaurant. They won $200 for their excellent work, which was donated back to NightShift. 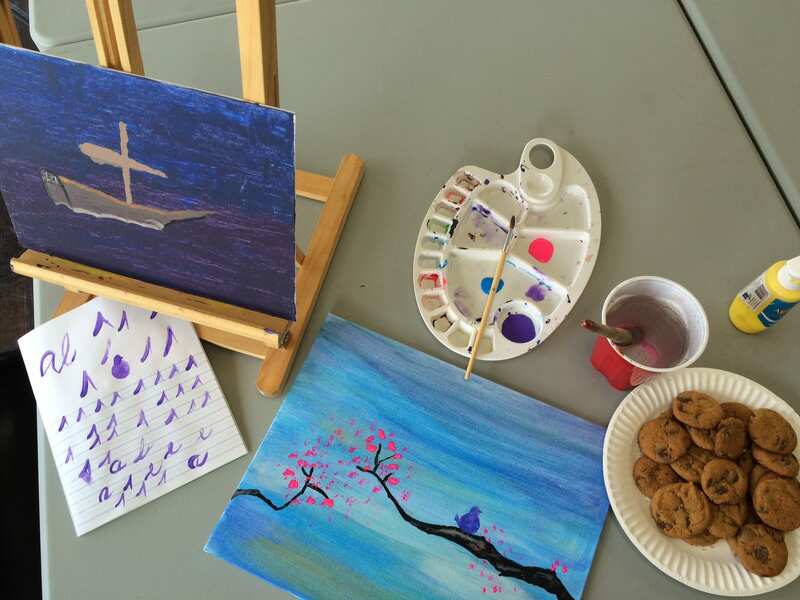 Art Class is every Tuesday in NightShift’s Education Room, from 5:30 to 7 pm. Will I be able to just drop in the art class on a Tuesday night? Am a Canadian living abroad who will be visiting Surrey for a few days in September. Would like to learn more about your ministries. Thanks!